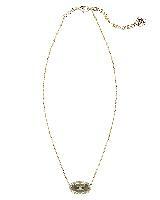 Eloise Pendant Necklace in Pyrite is rated 5.0 out of 5 by 11. 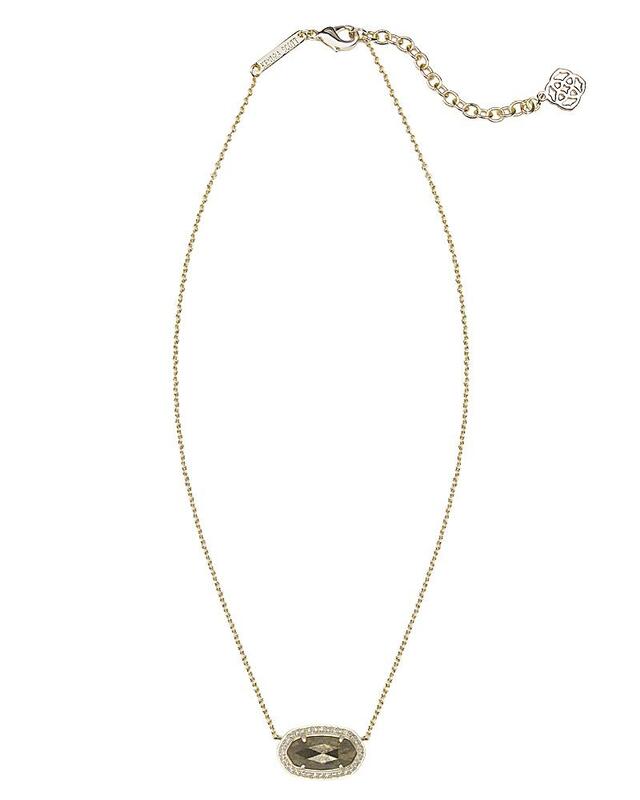 A seasonal neutral with gilded elegance, the pyrite stone in our Eloise pendant stands out against a halo of pave crystal. Rated 5 out of 5 by MelMey from So Impressive! I bought this necklace as a congratulation gift for my niece after her competitive cheer team winning Nationals. She absolutely loves it and as she gazed down at it said "I'm pretty enamored and obsessed with this." The cut on the pyrite is different then the other stones for this style necklace-it's deeper and chunkier. Love it and I have already bought the earrings to match for her next competition! Rated 5 out of 5 by Breedlove from Awesome Necklace I bought this necklace for myself. I had no idea it would be so pretty. Everyone loves it and it will go with so much stuff. I want to get earrings to match it. Rated 5 out of 5 by Carrie from Even more beautiful than the photos I bought this necklace for my daughter, but I love it so much, I wish it was for me! It's truly beautiful and will complement any outfit. Rated 5 out of 5 by CMac from Gift I purchased the necklace as a birthday gift for my best friend. She loved it. She owns tons of Kendra Scott jewelry. Rated 5 out of 5 by Celine from I am in love with this necklace!!! I bought this necklace for myself and I am in love with it!!! It is stunning! I can wear it with anything! Rated 5 out of 5 by L_CA from One of my Favorites!! Bought this on sale with matching earrings and it's one of my favorites! Love it! Rated 5 out of 5 by Adiamo from I love it! It came on time, it's beautiful and fits me so well! It's everything I wanted. Rated 5 out of 5 by Amber Vestal from So sparkly! Love the pyrite and gold. Goes with everything. The color is so neutral and it's a my favorite already.